My wife wants me to do wife-y types of things with her today. I havem't posted in a couple days and really wanted to clear out a scan folder. Let's type quickly. Marcus at all the way to the backstop sent me a thank you package for the Tis the Season card giveaway. No way I am going to turn down a nice group of colored border cards. 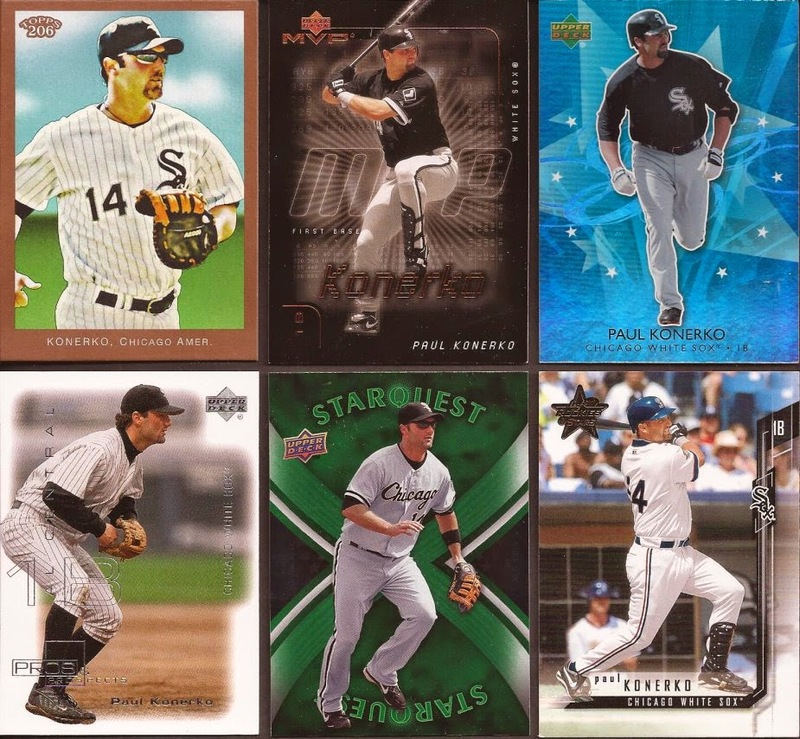 Nor a ton of Konerko cards. I have a TTM out to Paulie - I hope I get a return from him. Thanks Marcus! I posted the miscuts I received from Matt at Once A Cub a few days back. Here's the rest of the first of two envelopes I need to post (I have to scan package #2). How does one get so damn many golds? I always get the crap players. Yes - in that line of reason, Clayton Kershaw would be considered "crap" because of the lack of a White Sox logo on his uniform. I remember going into a dark room to shine a flashlight thru the back of the scratch game and score some of those gold stamped "winner" cards from '92 Topps. 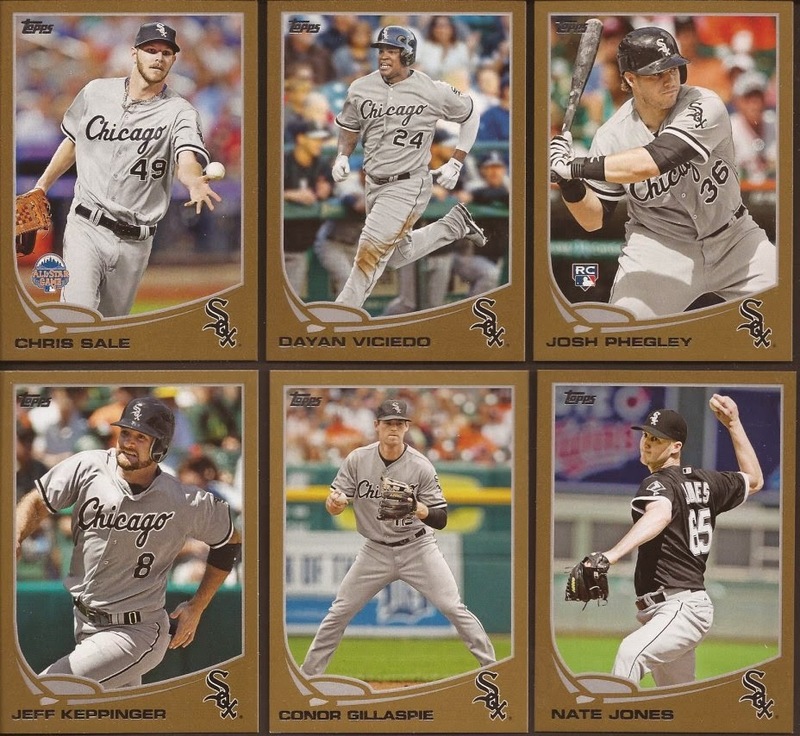 I never got a single ChiSox in any of the returns packages. Well well well..... A needed autograph for my binder. Thanks as always, Matt. Speaking of autos, Dion from Dion's IP Autos only has become a regular trade partner. I pull an auto, I email Dion, he sends me his updated trade list and we work out a deal. It's pretty simple to work with Dion, and he has a ton of great autos to pick from. Boots Day - I remember that card from my youth, so when I saw it on the sheet, it was an easy pick. 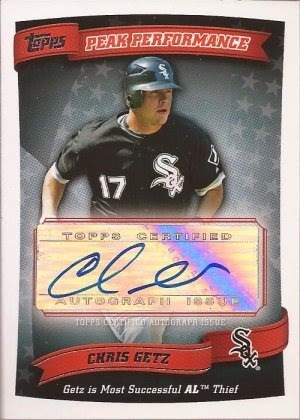 And Hicks is an auto I definitely needed. Great pitcher for the Sox, and a shame when he passed away a couple years back. 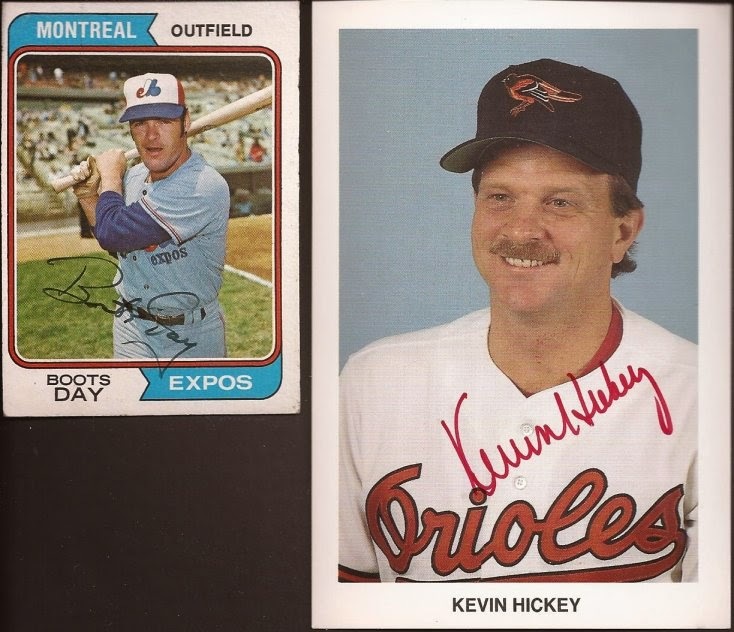 Sox fans really loved Hickey cuz he was just an average Joe that made it to the Bigs. And now my wife is standing at the door tapping her foot. I figured a kitchen would get me amnesty from those weekend jobs.. Guess not. You saved yourself from that Kershaw comment with the Pat Benatar video. Loved the post but that Benatar video is killer. I can't type that fast!! I was listening to this song before I started collecting baseball cards.